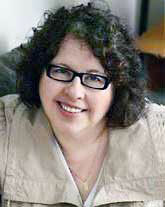 Lesley Crewe has published six novels in seven years for Vagrant Press/Nimbus Publishing Ltd, Halifax, Nova Scotia. The movie is now showing to Canadian audiences of Lesley’s first novel Relative Happiness! Starring Melissa Bergland, who won Best Actress for her role as Lexie, the premiere was on September 13, during the Atlantic Film Festival in Halifax. It was released commercially on March 20, 2015 and is attracting rave reviews. Deanne Foley directed the adaptation of the novel by Lesley Crewe, which centres on a Bridget Jones-like character and her extended family in Cape Breton, Nova Scotia. Crewe wrote the script with Foley, Iain MacLeod and Sherry White. Jill Knox-Gosse, Lynee Wilson and Alan Collins produced. Avi Federgreen executive produced. Melissa Bergland is cast in her first North American role, a Canadian co-production that adapts Lesley Crewe’s novel Relative Happiness.